First world problems – too much choice on the internet. 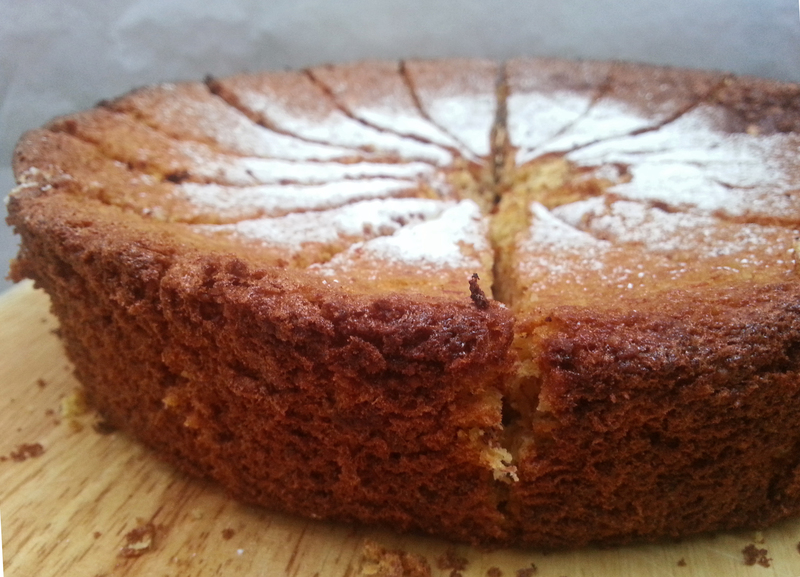 I was originally going to try Nigella’s clementine and almond cake recipe, but extensive browsing on the internet swayed me for an alternative version that involves whisking the egg whites to stiff peaks and then folding into the batter – I’m impartial to a light and airy cake. 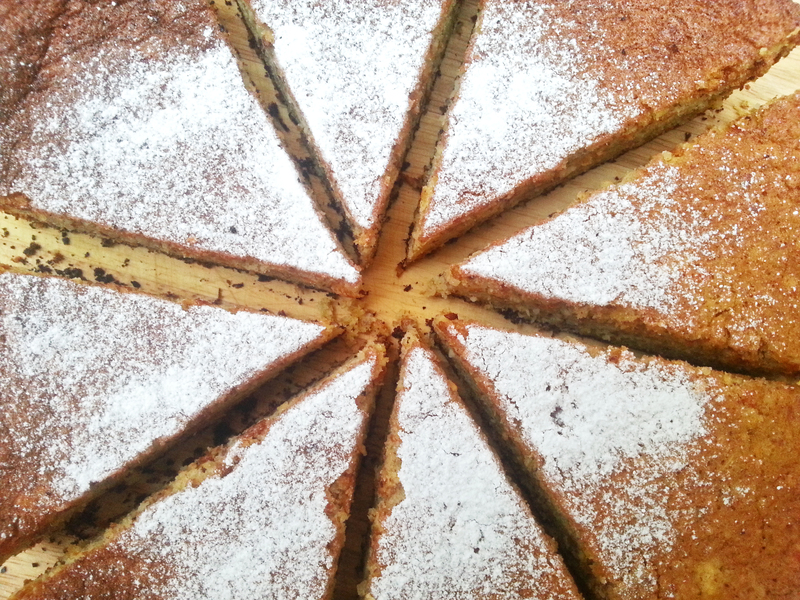 The use of the whole fruit, peel and all, fascinated me, as I like strong flavours in my cake. Isn’t it so disappointing when you bite into a lemon or orange flavoured cake and all you can taste are faint hints of extract? Well this cake takes fruity flavours to a whole other level. Cooking the clementines first brings out the sweetness of the fruit and reduces the tart flavour. 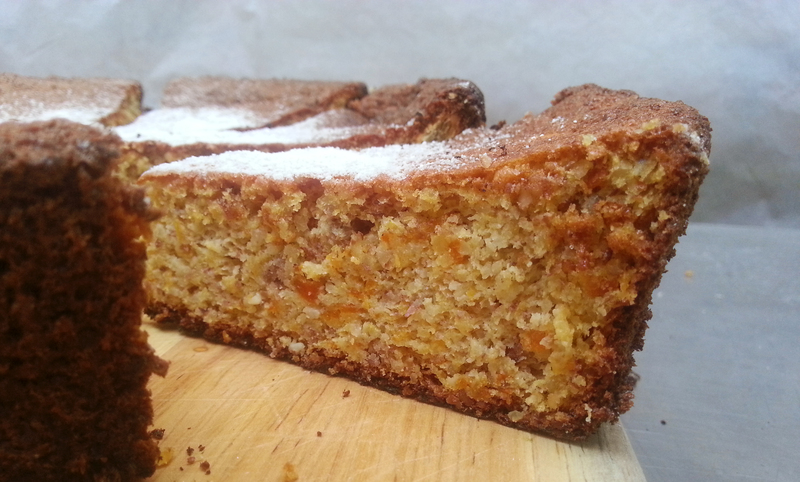 The fruit adds a sweet and not overpowering flavour to the cake, and the citrus pairs so well with the almonds. Since this is a nut based cake, it browns quickly so cover with foil after about 30 minutes, once the cake has set. Wash the clementines, cut a cross shape at the top of each fruit to allow steam to escape, and place on a plate in the microwave for 6-7 minutes until soft. Once ready, cut into small pieces and discard pips. Allow to cool. Preheat the oven to 180C and line a 9-inch cake tin. Place clementines in a food processor and pulse until smooth. Add egg yolks and sugar until it doubles in size. Fold in the ground almonds and baking powder. Whisk egg whites in a clean bowl until stiff peaks form. Add a third of the egg whites to the clementine mixture to loosen it. Fold the rest of the egg whites into the mixture, and pour into the cake tin. Bake at 180C for 50-55mins. Cover with foil after 30 minutes. This entry was posted in Cakes and tagged almond flour, almonds, baking, Betty's, cake, clementines, dessert, gluten free, recipe. Bookmark the permalink.